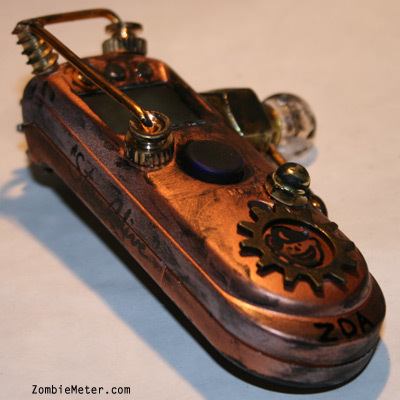 This Zombie Meter is a post-infection issue zombie survival detection meter. 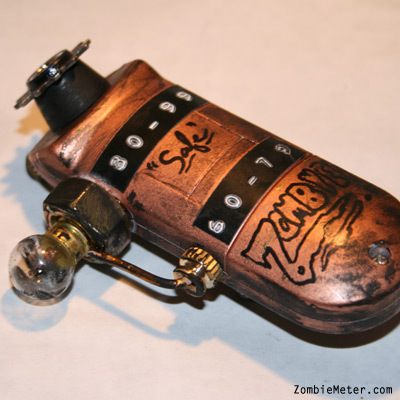 Use this meter to tell if someone is a zombie from a distance. 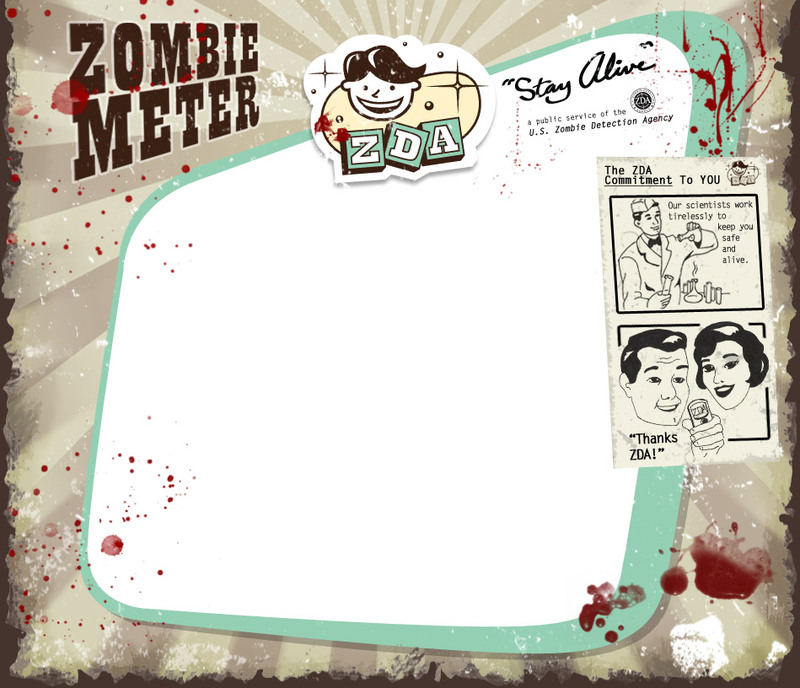 Simply point the ZDA Zombie Meter at someone you believe may be infected, press the button and correlate the readout number to the chart on the back differentiating 'safe' from 'zombie'. 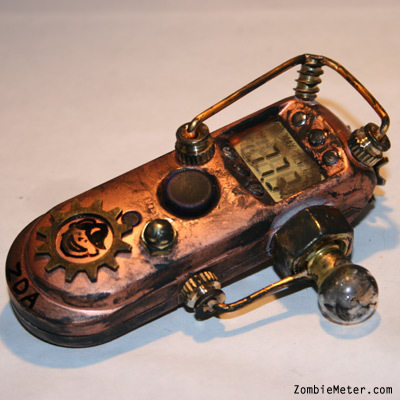 Once a zombie has been detected we urge you to take immediate action. 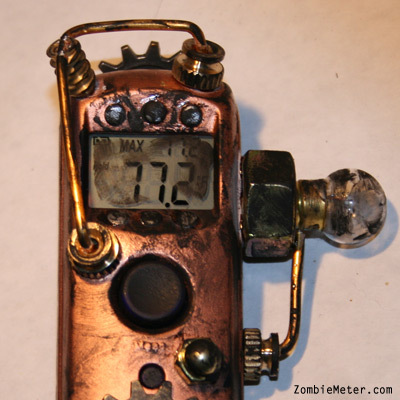 Dimensions: 1.25" x 3.75" x 1"
In Zombie Survival, the best offense is knowledge. 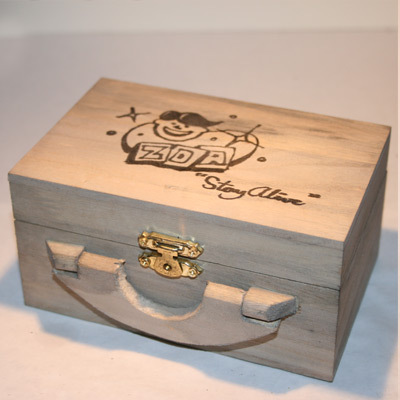 Knowing who is infected first is the best way to, "Stay Alive."